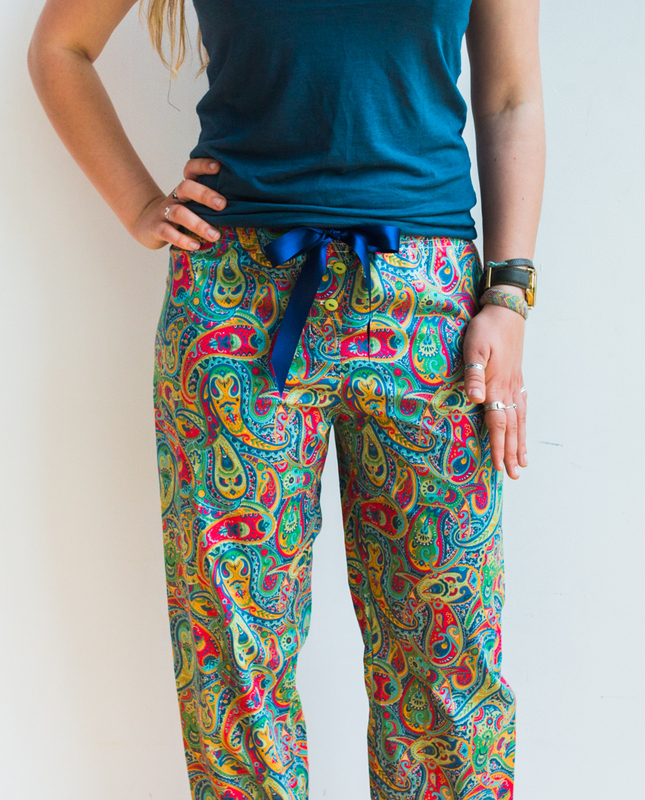 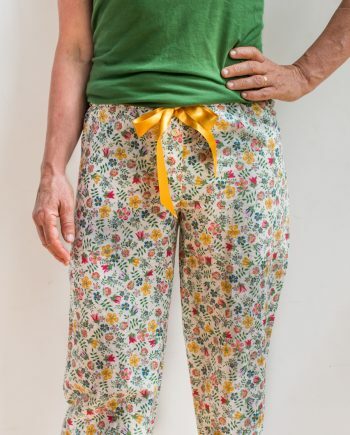 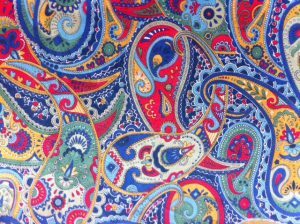 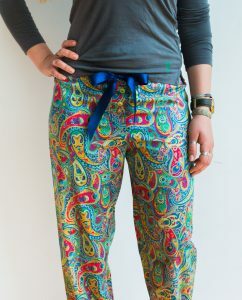 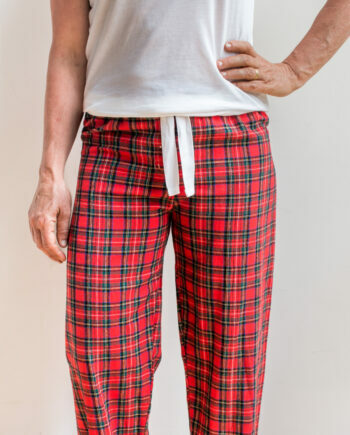 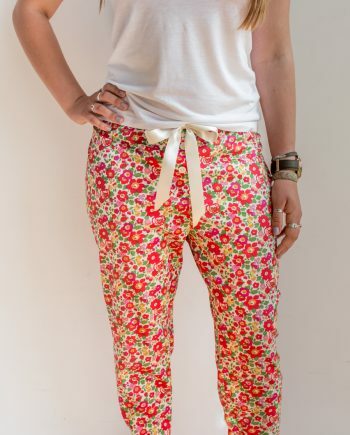 Beautiful and vibrant Liberty silk crepe pyjama bottoms/ lounge pants in a multicoloured paisley in primary colours. 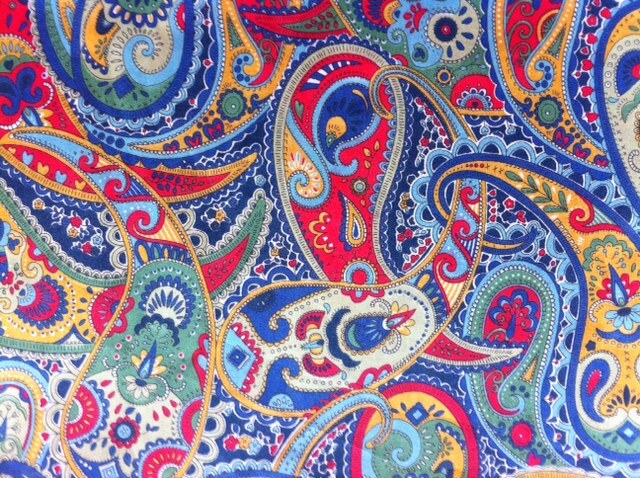 Satin navy ribbon and button fly. 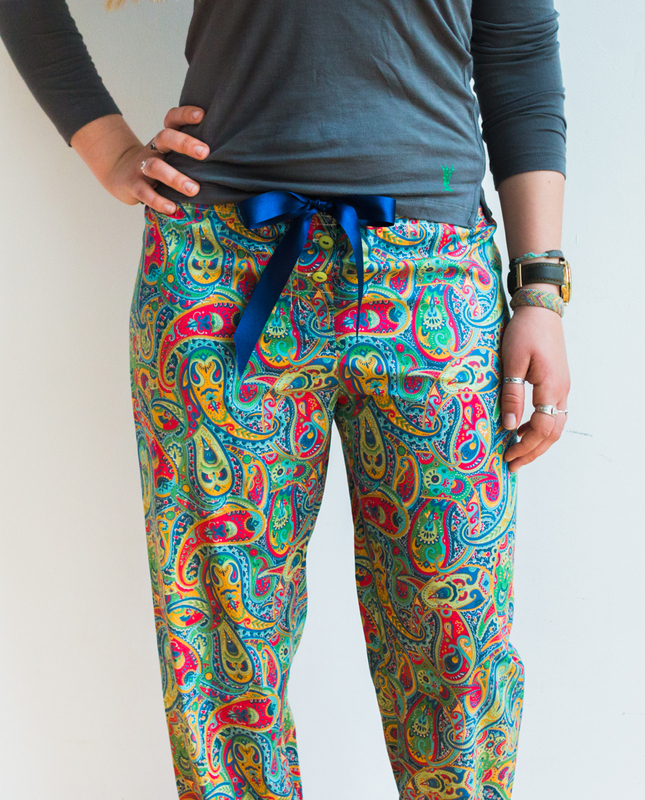 Machine washable on silk cycle; satin dulls a little over time (becomes slightly less shiny).